On February - 5 - Peggy has chosen Penne with Grape Tomatoes, Spinach, and Toasted Garlic found on page 224 in Weeknight Wonders. Sounds good to me. Hi Chaya, your soup looks like mine, which is comforting. I didn't mind it, but I didn't love it either. Looks lovely Chaya. It was so easy to make. Just maybe not my favorite of all time soups! But I would definitely make it again sometime just for the convenience of it. Yum, we really liked this one, nice fresh ingredients without a lot of fat and calories and one just feels good eating it. I can see ways to spice up the flavor without adding additional fat and calories by using various herbs/spices for those who wanted more punch in the flavor but by and large, I liked it just like it was...and it was easy! Yours looks great. 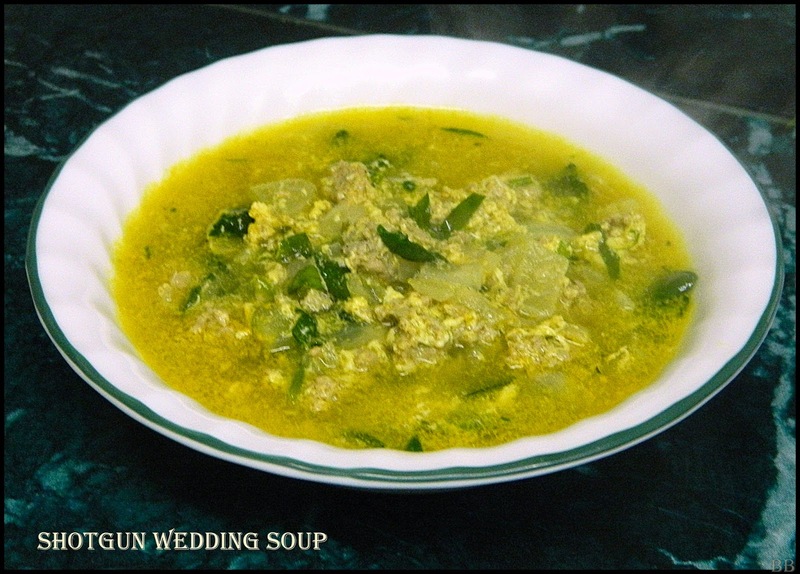 We would just love your Shotgun Wedding Soup! Thanks so much for sharing your post with Full Plate Thursday. Hope you are having a great week and come back to see us real soon! Definitely a keeper for me. I like quick simple clear soups. Makes me feel healthily virtuous rather than having a creamy heavy soup.